Bed bugs are something that people don’t pay much attention to until the are affected by them. They are so much out of the public mind’s eye that people typically tend to think they have a rash or an allergy attack when in fact they are being bitten every night by bed bugs. Bed bugs are a parasite that feed off of your blood and reproduce in large numbers. In the last few decades, bed bugs have made a major come back. And since 2014, the incidences of bed bugs have risen dramatically. So, how are these bugs able to persevere? Apparently, the parasite has been able to build a resistance to pesticides (source omicsonline.org). This does not mean that they are unstoppable. Many cases of bed bugs are still treatable with the current pesticide treatment. Also, there are measures a person can take to prevent them from entering your home or apartment in the first place. 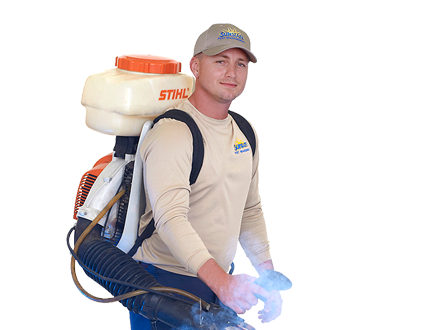 When a pest control specialist treats the area around your home, he is creating a barrier for all bugs, including bed bugs. Once you have identified that you have a bed bug infestation you can decide how you want to attack the problem. Most people don’t want to throw away their bed set because it cost a lot of money. The pesticides used to treat bed bugs (in the actual bed) are not harmful to humans. Your last resort should be the one where you throw out your bed set. And even still you will have to treat your home for bugs to prevent a re-infestation.